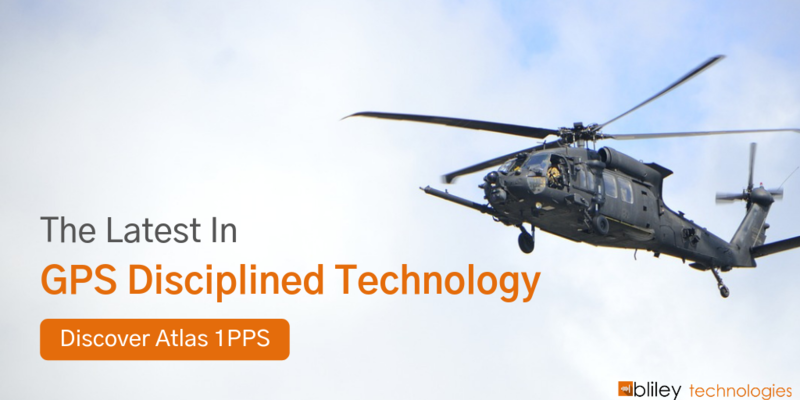 GPSDO timing signals are accurate up to nanoseconds and are capable of generating frequency accuracies and stabilities up to parts per trillion. 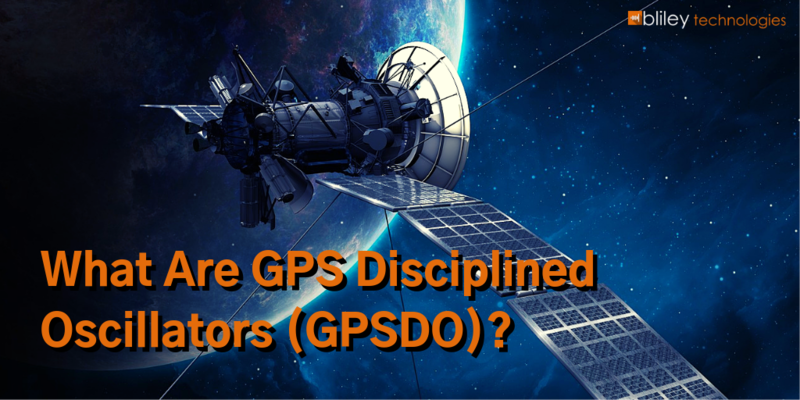 This makes GPSDOs very useful because satellite time signals must be very precise to provide positional accuracy for successful GPS and assured PNT navigation. How Does a GPSDO Work? The disciplining mechanism in a GPSDO works in a similar way to a phase-locked loop (PLL). Some GPSDOs utilize PLLs, however many are replaced with a microcontroller to compensate for frequency, temperature, and other environmental parameters. The real timing magic of a GPSDO happens because of the combined efforts of the GPS signal and the quartz crystal oscillator. This is where the high-quality crystal oscillator (often an Oven Controlled Crystal Oscillator OCXO) comes in. OCXOs offer better short-term stability, but are often exposed to thermal, aging, and other longer-term effects. The combined efforts of the GPS receiver and the OCXO make a GPSDO an excellence source for overall frequency stability. What's the Difference Between GPSDOs and NCOs? GPSDOs typically phase-align the internal flywheel oscillator to the GPS signal by using dividers to generate a 1PPS signal from the reference oscillator. Then, this 1PPS signal is compared to the GPS-generated 1PPS signal and uses the phase differences to control the local oscillator frequency in small adjustments. This is the main difference between GPSDOs and Numerically Controlled Oscillators (NCOs). Rather than disciplining an oscillator by frequency adjustments, NCOs typically use a free-running, low-cost crystal oscillator. They also adjust the output phase by digitally lengthening or shortening the output phase many times per second in large phase steps. This assures that the number of phase transitions per second (on average) is aligned to the GPS receiver reference source. With that said, GPSDOs are guaranteed frequency accuracy... even in the presence of high phase noise and jitter. What Happens When a GPS Signal Becomes Unavailable? When a reliable GPS signal becomes unavailable, the GPSDO goes into holdover mode. Holdover mode is where the GPSDO tries to maintain accurate timing using only the the internal crystal oscillator. (This is why it's important to choose a high-quality oscillator from a trusted supplier). Sophisticated algorithms are used to compensate for the aging and temperature stability of the oscillator while the GPSDO is in holdover. GPS Disciplined Oscillators can be used in a variety of applications. For starters, GPSDOs are used as the basis for Coordinated Universal Time (UTC) around the world. UTC is the official accepted standard for time and frequency. GPSDOs are also used to provide synchronization to wireless base stations and serve well in standards laboratories as an alternative to cesium-based references. Bliley Technologies has applied their 85+ years of frequency control experience to make Atlass 1PPS one of the best performing GPSDOs on the market today. They also offer a variety of other great GPS disciplining solutions.